This pack includes 3 SPRING mystery pictures! 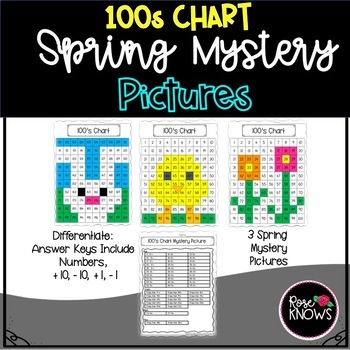 100's chart mystery pictures are an engaging way to help students develop number sense. 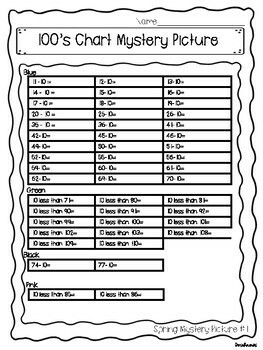 These pictures are a fun way to help students learn number patterns. Each mystery picture has two student options. 1. 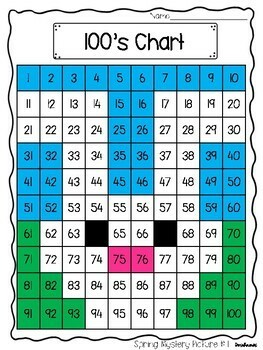 Students will find a number on the hundreds chart and color it according to the corresponding coloring key. 2. 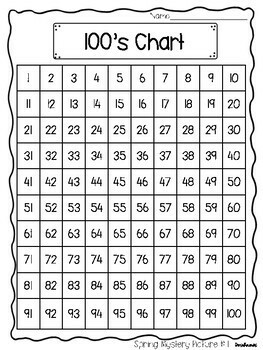 Challenge students with a 10 more, 10 less, 1 more, & 1 less math question to reveal what number should be colored. When students are finished a picture will be revealed! This pack is great for an independent math center activity.